What is the procedure for getting a crown? A complete crown procedure requires two visits. 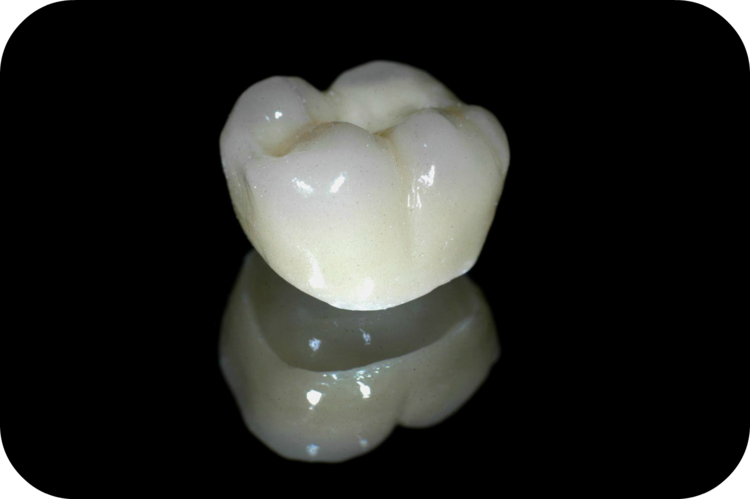 On the first visit, the tooth in question is reduced in size so that the crown can fit snugly over it. Next, an impression of your teeth will be taken to make a mold for the crown, and it will be sent to our lab. A temporary crown will be made before you leave to protect your tooth until its permanent version is made. After 2-3 weeks, your crown will be ready. At the second appointment, your dentist will check your bite and contact to verify that the final crown fits perfectly. When you are satisfied with the bite's feel and the final finished aesthetic, the crown will be cemented permanently. Crowns are durable and will usually last from about 10 to 15 years. Patients should care for it as you would any of your other teeth with regular brushing and flossing. Call us today if you would like to learn more about how crowns can help restore your smile!